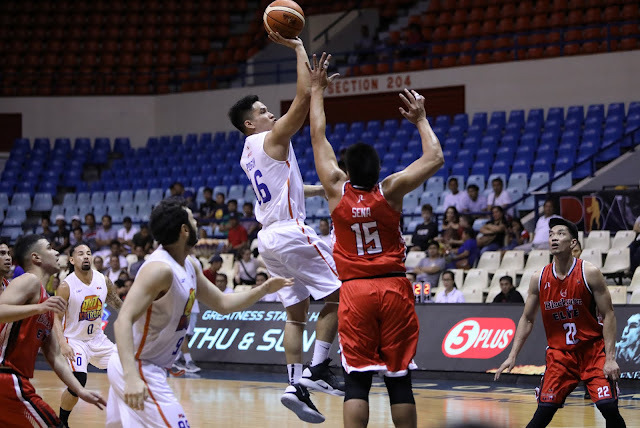 MANILA—TNT made its own pitch for a Top 2 spot in the PBA Philippine Cup playoffs after dispatching Blackwater, 127-89, at the Ynares Center in Antipolo on Saturday night. The KaTropa broke loose after outscoring the Elite, 37-17, in the final quarter to seal the blowout. RR Pogoy made 28 points, six rebounds, and four assists for TNT, which tied San Miguel in third place at 5-3, a full game behind Rain Or Shine for second. Jericho Cruz added 20 points, four rebounds, nine assists, and two steals off the bench. Mike DiGregorio made 20 points, three boards, and two swipes for Blackwater, which is now on the verge of getting eliminated after falling to 2-7.